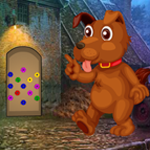 Games4King - G4K Funny Dog Rescue is another point and click escape game developed by Games 4 King. In a beautiful, magnificent city there was a dark mysterious mansion. The house is designed to be very intimidating to see. There is a comedy dog ​​stuck in that strange mansion. It is your duty to save that joke dog there. It will help you to find the hidden clues to save that dog. Find all the tips and save that comic dog and congratulate you to win the game. This game is highly desirable. Good luck and have a fun! Another G4K that does not load! Hi all. Thankks G4K. Enjoy scoring 58697. Makes me feel good. I scored 58.697 too. That's the score of any finished game, I suppose. Good game - Very straight forward!